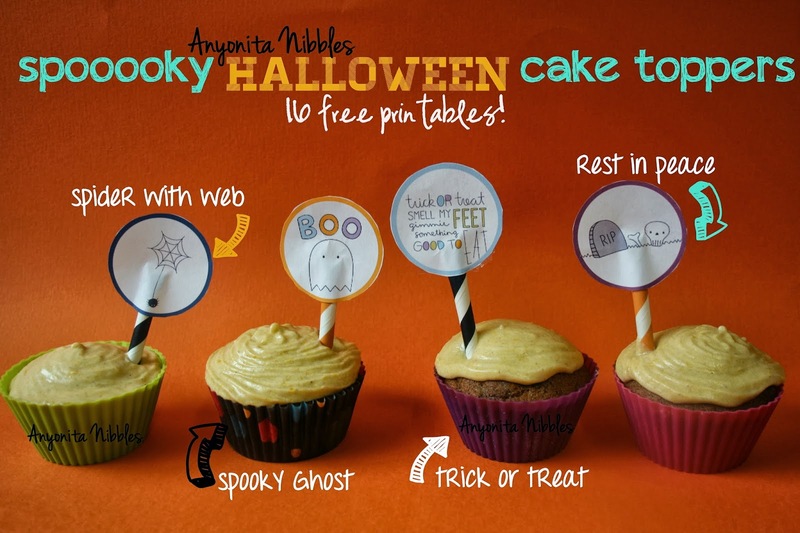 Before we get to the post, I promised you a free Halloween printable for the cupcake toppers I used in yesterday's entry! Click the appropriate paper size to download the toppers and make your own Sticky Toffee Pudding Cupcakes with Pumpkin Buttercream! 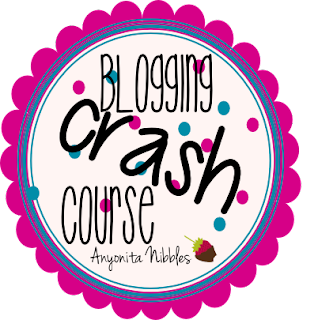 Do you use labels or tags on your blog? Do you have more than 30 labels or tags? Do your labels or tags reflect your keywords? A label or tag is an easy way to categorize your posts. They can be used to help your readers navigate your blog. When used correctly. 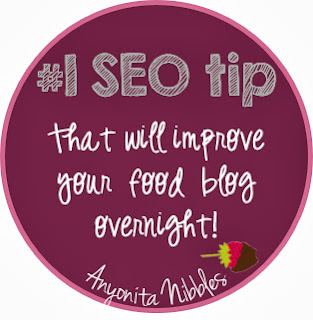 Most importantly, labels and tags play a big role in the indexing of your blog for SEO purposes. Let me explain: every label or tag you have on your blog has a URL attached to it. Each of your blog's URLs gets fed back into Google and other search engines and is used to help determine the integrity of your site. Site integrity is what gets you recognized as an authority on certain subjects. It's one of the things that helps your site to climb the Google ranks. The websites in the first few results of a search on Google are seen as authorities in that specific area or with that specific keyword. Here's where labels and tags become important: one of the things that helps to determine your site's integrity is the sheer number of good, quality posts about a specific subject. By good, quality posts I mean posts that aren't filled with spam and suspicious backlinks and poor comments. I mean posts that are engaging and that are being discussed whether in your comments or on G+ and other social media. If there's a big enough buzz around your post, you can pretty much guarantee you'll be in the running for being seen as an authority. When the label or tag URLs on your site get indexed, they take note of the number of links those URLs refer to on your blog. A label pointing to 20 or 25 entries is going to do better than 20 labels pointing to 1 entry. The latter is bad because search engines begin to suspect all those links as suspicious and, as a result, the integrity of your site can be diminished. To avoid this happening, it is best to use labels that are broad but specific. For food bloggers, striking this balance can be tricky. Many of us post about the same ingredients and use similar or even the same recipes. Pretty much every food blog you read is going to have a post for some type of pasta dish, some dessert using apples and some chicken dish that they swear by. It's inevitable. So how do you stand out? With SEO. And what's the easiest way to make your SEO noticeable? By using labels and tags correctly. Here's a list of labels and tags from food blogs that I've read this week. We'll use these labels as examples of what to do and what to avoid with your labels. Cream, Salt, Pepper, Roasted Garlic, Pumpkin and Potatoes and labels that list every ingredient used in your recipe (especially common ingredients) may not perform to your benefit in search engines because they will not offer any indication that you are an authoritative figure on the ingredient. Unless there is something that sets you apart and links you with a specific ingredient in a way that most other people won't be linked, it's best to avoid them. Let's take it one step further. When used correctly, your labels should serve as another way for readers to find things on your blog. Due to the nature of cooking and the limited availability of ingredients, many of our core ingredients crop up in a variety of dishes. For instance, the egg. A quick search on Anyonita Nibbles reveals that I've used eggs when pastry like the choux in my Chilli Chocolate Eclairs. I've also used egg as the primary ingredient in my Eggs Benedict with Spinach English Muffins recipe. Finally, I even used eggs when making my Homemade Pasta Tutorial. My point is: ingredients overlap. We use multiple things in different ways. Someone looking for an egg breakfast dish isn't going to be interested in the pasta or the eclairs. Instead of bombarding the tag with a cavalcade of every egg recipe on my blog, I'd be better off focusing my labels on broad but specific terms. No ingredient, unless it is unique to your blog, rare or unless your blog has a special affinity with it is worth its own label. General terms like cookbook, magazine and website get used quite a lot by food bloggers to demonstrate the source of unoriginal recipes. Again, there's really no benefit for using this as a label, unless of course, your blog is mainly about reviewing recipes from cookbooks, magazines or websites or making recipes as seen in these publications. If this isn't your forte, drop this label. I would even venture as far as to say that if you're not blogging for a publishing company or bookbinder or someone in the media industry, leave these labels alone in the first place. You won't be seen as an authority in Google's eyes and you'll only be hindering your site's credibility. Nigella Lawson and any other famous chef or celebrity is a tempting label or tag to use. Thousands of people are likely to be searching for a Nigella Lawson recipe at any given time. Having two of her recipes on your blog doesn't make you an authority. In fact, the only authority on Nigella, would be Nigella herself. So, unless you're her, or unless you run a Nigella Lawson tribute site where all you post is recreations of or tweaks to Nigella's recipes, get rid of this label. The same can be said of cooking shows. Unless you're setting out with the purpose of recreating a substantial chunk of the recipes or techniques shown in a cooking show or unless you work as a blogger for that cooking show, don't honor them with a label. You have no authoritative ties with the show and it won't benefit you if you're only posting a passing recipe or post related to the show. Ditto again with brands. Even if a brand has provided you with samples or products, unless you're employed by them as a blogger or social media manager, don't waste your precious labels on them. If I'm looking for a recipe using Cadbury, I'm going to go straight to Google first or to Pinterest and your label with three recipes using Cadbury chocolate isn't going to be what crops up. The only authority on a celebrity, cooking show or brand is that celebrity, cooking show or brand. The only people who should use dedicated labels to a specific celebrity, cooking show or brand is that celebrity, cooking show or brand. Is that not you? Drop the label. Twine, Crudite Platter, Scrapbook Paper are examples of the types of labels that probably won't crop up very often in a food blog. If you can't envision yourself using a label at least 10 times, then I'd drop it. It clearly doesn't represent an area that you have been blogging about intensely. Moroccan, Italian, Middle Eastern, American etc. are always important labels to use because they are terms that apply to a specific style of recipe. But again, use discernment. If you've only posted one Middle Eastern dish out of 200 recipes, then don't dedicate a label specifically to this cuisine. Sauces, Creams, Dips, Cakes, Appetizers, Mains etc are very important because they reflect how we think about food. If one of your readers is searching for an appetizer, chances are they don't want to see dishes that would generally be considered desserts. The two are mutually exclusive and should be treated as such. Using labels in this way would help your readers to navigate your site and find what they're looking for quickly. It can be easy to get carried away coming up with labels in this category. A bit of advice I can give is to group similar categories together. For instance, on Anyonita Nibbles I have one label that encompasses sauces, dips jams, butters and creams and includes both savory and sweet. Again, this type of label can be helpful for building up a repertoire of festive dishes and since holidays are special occasions, people often search for lots of holiday food at once. You will need to decide whether to attach a label to each holiday or to just the major ones or to have a generic holidays tag. Personally, I've skipped over this option because I like to create dishes for US holidays as well as UK holidays and my labels list would quickly be overrun with individual holidays and one generic tag would quickly get clogged with conflicting holidays. Instead, I rely on naming holidays in the keywords of appropriate recipes and trust that my readers will use my search box to find specific festive recipes instead of seeking out a label. This is something that many of us do because everybody searches for easy recipes. Personally, I don't think it's necessary because who determines what makes a dish easy or difficult? It's too subjective. Here's a quick example: I struggle with making dough. Anything involving dough making is quite difficult for me. On the other hand, I excel at making French macarons and can do it with my eyes closed. Theoretically. Some people consider making macarons to be quite difficult, whereas I don't consider it difficult at all. Do you see where I'm going with this? Until someone comes up with a formula for measuring difficulty of a recipe that actually makes sense, I avoid including this information in my recipes and I would think twice about delegating labels to this type of information. I've included it in this section because it can be useful and I know many bloggers devote their blogs to "easy" recipes. Does a large percentage of my site contain recipes or posts about this label? Do I have something to say about this label that is unique? Keep your labels pertinent to your post. Develop a short list of about 30 keywords and use them repeatedly. It's better to have multiple posts attached to one pertinent label than to have 300 labels with only one post attached to them. Thanks for this post. I realise I have a lot of labels to remove. Very well written.